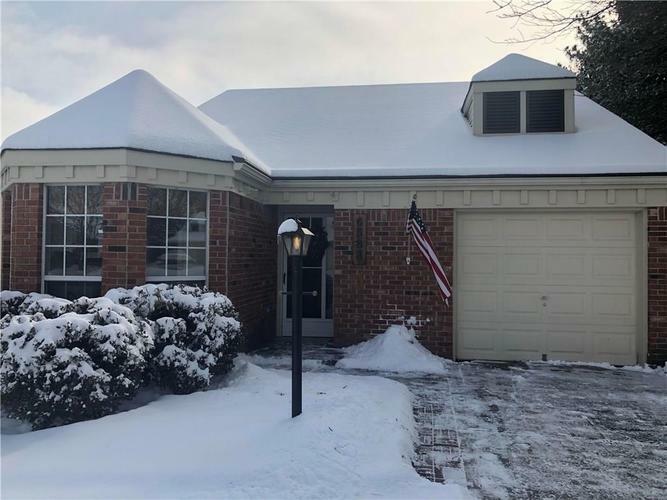 Adorable updated home with Large Great Room, Wood-burning Fireplace, Eat-in Kitchen, (new faucet in 2018) as well as Dining area. Master Bedroom has Walk-in Closet; Master Bath has new sink, mirrors, toilet, cabinet pulls and is freshly painted in 2018. Half Bath is updated (2018) with new sink, faucet, toilet, mirror and cabinet pulls. All new blinds, new door knobs and all kitchen cabinet pulls in 2018. New privacy fence in 2018 along with new exterior roof grills, new attic insulation and new water heater. Range and Refrigerator are included. Directions:From 96th Street and I-69, head West to 2nd entrance of Charter Pointe addition, head South on Charter Drive, Settlement Dr is first street on right, Home is on left at 6583.